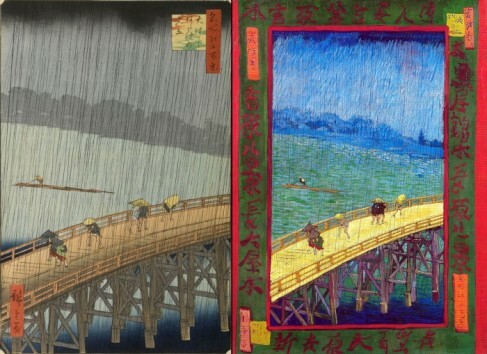 This short lecture series will discuss one of the main sources of inspiration of the Modern Art movements, Japonism, along with the work of two great Masters of all times: Van Gogh, the great painter of colour and emotion, and Picasso the great artistic innovator, having both left a long-lasting legacy that reverberates today. This session will look briefly at the historical context in which Japanese prints arrived in Europe in the 1850’s, before looking in greater detail at the influence they had on Modern Art movements. With their simple lines, flattened perspective and unusual colour juxtapositions, the eastern reproductions began to play an important role in the development of Impressionism and Post-Impressionism styles. A focus on Vincent Van Gogh’s work will round out this lecture. This lecture will provide an overview of the work of the modern master while examining the main periods of his career, concentrating on how he was influenced by other great artists of the past, and explaining how the major developments that defined Picasso’s work have found a lasting place in Art History.